We empower families to become homeowners. 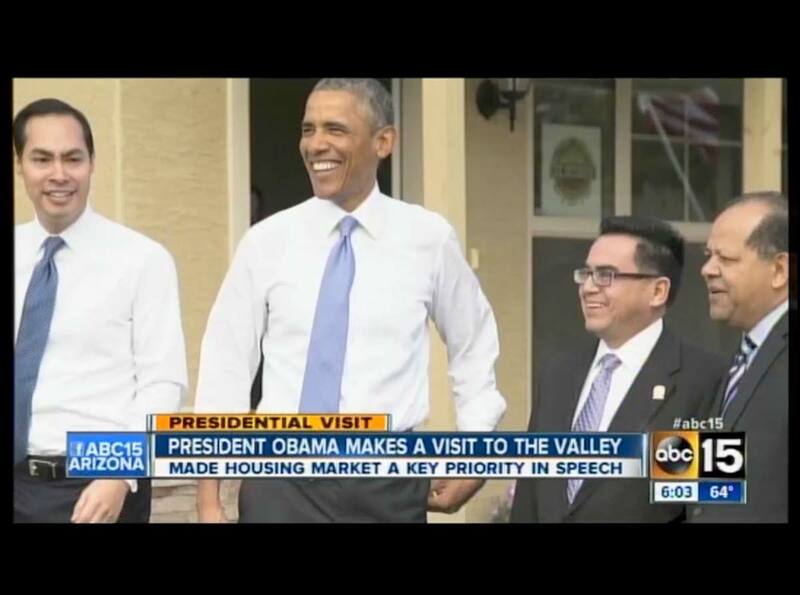 Before U.S. President Barack Obama arrived at Central High School to deliver a major announcement on homeownership in January of 2015, he stopped - the only stop other than the speech location – at a Chicanos Por La Causa (CPLC) affordable housing community subdivision. CPLC offers a holistic approach in assisting homebuyers and homeowners. CPLC is committed to providing programs and services that enable people who might not otherwise be able to, to acquire affordable, quality housing. We develop and build affordable single-family housing units for medium to low-income families in economically-distressed neighborhoods. Chicanos Por La Causa, Inc. is the Lead Agency of a national consortium of non-profit affordable housing developers that are administering federal funds under the Neighborhood Stabilization Program, round 2. The consortium is seeking to remove 226 tracts from its list of approved census tracts. These 226 census tracts are located in submarkets throughout the United States to include Hildalgo and El Paso Counties in Texas; Routt, Saguache, Adams, and Denver Counties in Colorado; Philadelphia County in Pennsylvania; Monterey and Los Angeles County in California; Cook County in Illinois, Bernalillo, Dona Ana, and Valencia Counties in New Mexico; Maricopa and Pima Counties in Arizona. To make comments go to https://cplc.org/housing/nspii.php or contact Sheila Cade at Sheila.cade@cplc.org.